For example: “I have to go to work.” “I have to do XYZ and then pick up my kids.” We say it so much that it has actually morphed into a single word recognized by Urban Dictionary. Running, however, is not an easy sport. 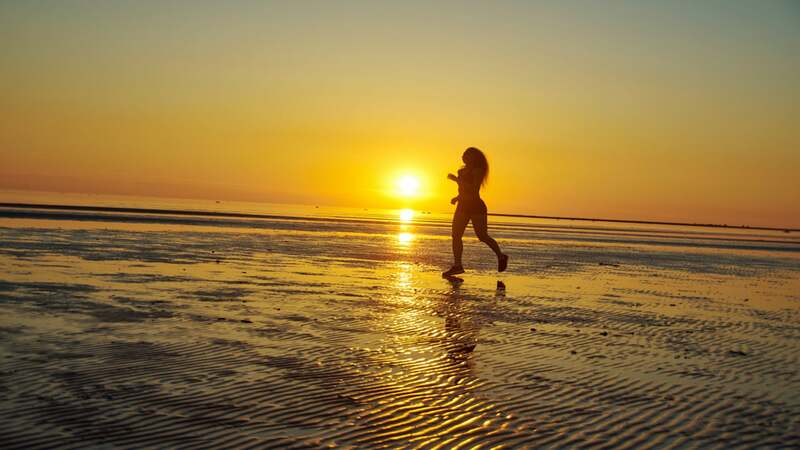 Sure, it comes easily to some—but to become a competent runner, jogger or even slogger, there is a stubborn dedication, resilience and plain doggedness that comes with the field. Runners are sometimes Type-A personalities, but more often than not there is much more determination and stubborn pumping across the heart rate monitor. Mindset is everything—including how we approach each day and each training session. The names we give ourselves (slow, boring, lonely—instead of perhaps scenic, studious and brilliant) can change the way we approach every single minute of our day. If we are capable of resetting our entire path with something as simple as gratitude and positive words, what can we do when we get rid of the haftoo? With running, I have a friend, Charlie, who always says “I get to do this”—and she has been saying it for years—long before we began to see motivation on t-shirts and coffee mugs. With this phrase comes magic—instant gratitude, focus and purpose. A list of our haftoos often reveals things we feel obligated to do, things we are less than joyous about. I have another friend, Andrea Peet, who was diagnosed with ALS more than three years ago. She was a runner and triathlete and it seemed that overnight, she was unable to do the things she used to do. Does she haftoo run? No, and she can’t run in the traditional sense. But she can wheel—so she gets to wheel. She just finished another marathon—all while raising money for ALS research. Through her resilience and positivity, she is a force in the ALS world—and in mine. I have another friend, Kyle Pease—born with cerebral palsy with spastic quadriplegia, he learned to play sports from his chair. 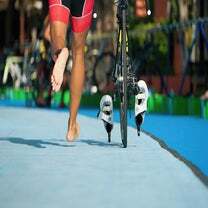 When his brother, Brent, later began to compete in triathlon, he wanted to do the same. He became an Ironman athlete along with Brent—they did it together, with Brent swimming with Kyle in a raft, riding on a custom bike and running in a push-assist chair. The brothers crossed finish line after finish line together, showing the world a way to participate in sports—not only through their example, but by bringing others along with them through their non-profit. Does Kyle (or Brent, for that matter) haftoo do triathlon? No, and he also can’t do it alone. But he can wheel—(the Kyle Pease Foundation’s tagline is “Together We Wheel”)—and he’s an IRONMAN—and finished the World Championship Ironman in Kona, Hawaii last October. Not only that, but the Kyle Pease Foundation is leading the charge for inclusion of individuals in sport. They don’t haftoo—they want to, they do, they will. So many of us can’t do many things alone, however. Perhaps it’s not in the same sense as Andrea or Kyle, but leaning into a community and having positive words lead our way is the recipe for a change, for a purpose. Haftoo is a toxic word. We are all better off avoiding it. We can be joyful and silly, and we can accomplish goals. “Silly” is the birthplace of positivity, change and tolerating the hard stuff that comes our way—like marathons. But being sad and serious about running? About all our other life things? We must learn to reshape our dialogues. Start with changing the simple dialogue of: “Tomorrow I haftoo run” to something more fun. Tomorrow I am able to run, so I will. I can run, so you’re damn right I will! I can’t run, but I can walk—and that is amazing. Off I go. I have new sneakers. They can’t be lonely in my closet. Come on friends! We get to run. I am healthy. I can run. I am not as healthy as I want—which is why I am running. I am better than I have been. Today, I run. Today, I am better. I get to help other reach their goals and dreams. I get to inspire others. The possibilities are literally endless. See where the journey of words takes you. Meredith Atwood (@SwimBikeMom) is a recovering attorney, motivational speaker, coach and author of Triathlon for the Every Woman: You Can Be a Triathlete. Yes. You. She is the host of the podcast The Same 24 Hours, a show which interviews interesting people who make the best of the 24 hours in each day. You can download a free triathlon race day checklist here. Meredith lives with her husband and two tweens, and writes at MeredithAtwood.com. Her next book, The Year of No Nonsense, will be available Fall 2019.